This holiday season I wanted to take a bit of a break and do something fun with Azure. 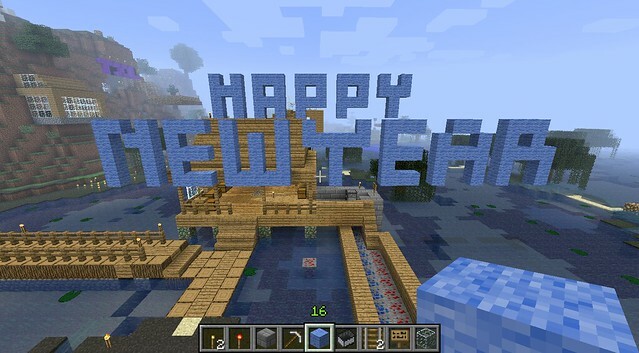 I’ve spent a lot of time around children recently, and many of them Minecraft. I had heard that we now support Minecraft VMs in Azure, and decided it’d be a perfect time to try it out. I’d finally get to figure out if am as a pick-axe or sword person. You can spin up a Minecraft server in Azure without the Minecraft account, but you won’t be able to play it without the account. You’ll end up with the following results. We’ll now be presented with options for creating our Minecraft VM. There are 4 things we need to customize. Pricing Tier – when we click on this, we can see the recommended sizes for our Minecraft VM. I suggest at least the A2 Standard, we don’t want our server to lag when we’re fighting a skeleton. Select Create to kick off the creation of our Minecraft VM. I suggest leaving the “Pin to Dashboard” box checked, to make it easy for us to check it’s status and find it in the future. Azure will redirect you back to your Dashboard, and you’ll be able to see it processing. You’ll see a page like this, and you’ll need to record the Virtual IP Address. That was our last Azure step, now launch Minecraft on your computer & log in.